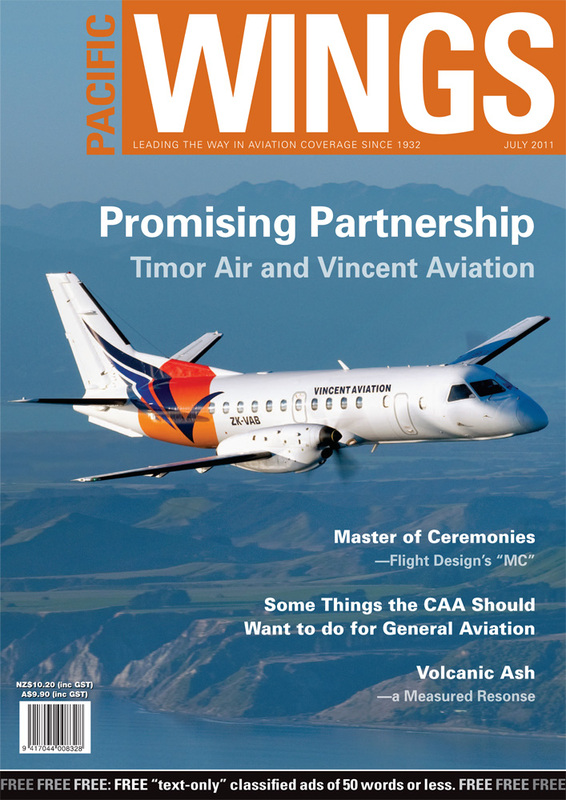 Vincent Aviation first went to East Timor to support United Nations peacekeeping efforts there. Now, as Rob Neil reports, the Kiwi airline has returned as a vital partner in founding a new national airline for the embryonic nation. After 30 years’ general aviation experience, and more than a decade as a safety advisor for the CAA, Ross St.George has a few suggestions as to what he believes the CAA should want to do to make general aviation better and safer. When Rob Neil got the opportunity in Australia recently to sample Flight Design’s latest LSA, the Flight Design MC (Metal Concept), he came away mightily impressed. Thousands of air travellers in Australia and New Zealand have experienced travel delays and cancellations recently following the eruption of Chile’s Puyehue-Cordón Caulle volcano. Stu Julian and Ross Gillespie of NZALPA explain why such delays have occurred. Everyone understands the need for landing fees if aerodromes are to continue to operate—but we all hate the fuss and bother associated with calculating, administering and paying the pesky fees. The Lockie family of Parakai has invented a software solution to solve this annoying administrative burden.